Escolourful Cotton Newborn Baby Carpet Girls Boys Kids Cartoon Crawling Blanket Play Mat Kids Play Mats Decorative 90x2CM by Escolourful at Home Decor Outlet Store. Hurry! Limited time offer. Offer valid only while supplies last. Feature: The pattern is single sided. Add a chic, fresh touch to your kid's favorite room. Large capacity to give the baby enough spaces to play. The pattern is single sided. The real color of the item may be slightly different from the pictures shown on website causedby many factors such as brightness of your monitor and light brightness. Please allow 1-2cm error due to the hand measurement If you have any questions,please contact us. Wish you have a happy shopping time. 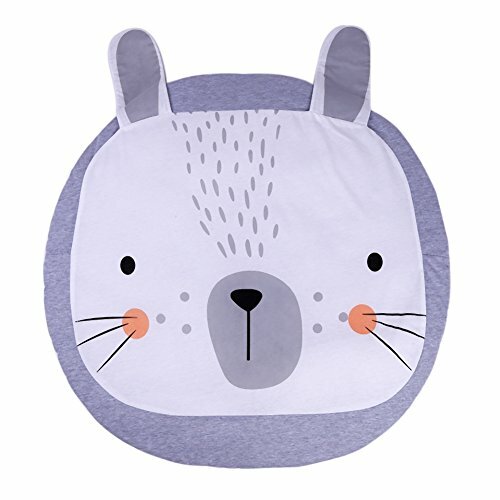 Design:Cartoon pattern,Ins hot Nordic style,perfect for decorate the baby house. If you have any questions about this product by Escolourful, contact us by completing and submitting the form below. If you are looking for a specif part number, please include it with your message.